New cat owner? Start here! What breed does my cat look like? Thinking of becoming a breeder? Even more articles about cats! Describing Cats - What Does My Cat Look Like? Fur Pictures and Videos Only! 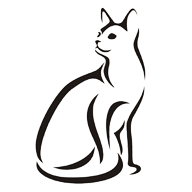 TheCatSite.com is a community of cat lovers dedicated to quality cat care and cat welfare.